Russian Vice-Premier Arkady Dvorkovich said global energy security and stability of supplies are the country’s priorities. Russian companies seek to take part in the Turkmenistan-Afghanistan-Pakistan-India (TAPI) Gas Pipeline Project, Russia’s senior government official said this week. 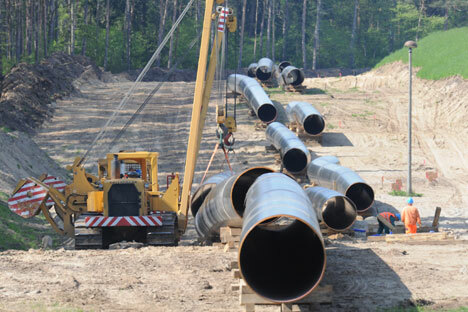 India has regularly suggested that Gazprom join the project as one of the suppliers. Russia does not set the Asian markets against the West’s, Russian Vice-Premier Arkady Dvorkovich said at Turkmenistan Gas Congress on Wednesday. “The development of the ‘eastern vector’ and energy security and stability are our priorities,” he said. As one of the major producing countries Russia should realise the partners’ plans and gas projects, as well as the situation on the gas market, Dvorkovich said. At the same time, he said Russia would always a reliable gas supplier to Europe and Asia. Dvorkovich considered cooperation with the Asia-Pacific Region countries promising. Demand for hydrocarbons grows more rapidly than in Europe. Gas demand will increase by 2.5 times by 2035 and reach one trillion cubic metres per year, the Russian Economic Development Ministry says. Russia is ready to contribute to inviting Turkmenistan to the Gas Exporting Countries Forum (GECF) to allow its representatives to take part in a ministerial meeting due to be held in Qatar in November 2014, Dvorkovich said. “Turkmenistan’s participation in the gas exporting forum can benefit the Central Asian republic,” he said. The creation of the consortium TAPI Ltd will be a next stage, the participants in the meeting noted. The committee’s meeting has taken the decisions to draft constituent documents and register the consortium. The question to speed up the development of the project was particularly discussed at a meeting between Turkmen President Gurbanguly Berdymukhamedov and Indian officials. The construction is planned to complete in 2018. Turkmenistan proposes to deliver 33 billion cubic metres of gas annually.